Hey, since my bug post about some of the issues I was having, I've got a fair bit of use out of FontCreator 11. While I'm happy with it for the most part, I'm not sure why, when inserting a custom contour into a glyph, you can no longer use right-click to add a single off-curve point? The dragging to create curves is useful in some cases, but in most others, I much prefer the simplicity of placing the one point exactly where I need it. I can appreciate that others might not, however it seems weird to have removed that functionality when a) it hasn't been replaced with any alternative action, right-clicking just does absolutely nothing now, and b) it doesn't seem like it would be incompatible with the new controls - if you create an on-curve point in the same place and then switch it to off-curve after completing the contour, the end result is exactly the same. Just with a little extra unnecessary faff. Would like to request that right-click to add an off-curve point be re-added, unless something I've not seen prevents it. One other (very) minor thing - it would be cool if AutoKern had the ability to kern numbers as well as the alphabet. Not really a big issue, just that "7" tends to need manual adjusting afterwards since it's got so much white space around it. 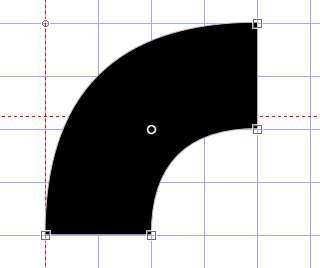 Now that FontCreator can create/edit cubic curves as well as quadratic curves, I suspect that some change was unavoidable. Numbers should not be kerned by default. Many fonts have tabular figures, which should retain uniform spacing with periods and commas. If you want to kern some figures, it is easy enough to add a few pairs afterwards. Which is far less intuitive to me - I'm having to think of the points' positions out of order (eg for the top two points shown, I have to click onto the one on the right and then drag to the right until the curve is in the right place as well). Alternatively, I draw it as in the old method but entirely using on-curve points, and then manually select and swap the two appropriate points to off-curve. Which is more intuitive, but also a little awkward to do and a lot slower than it was in previous versions of FontCreator. 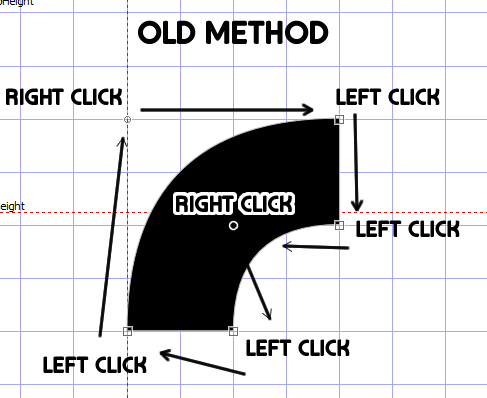 And, as suggested, it seems like adding the right click functionality back in for quadratic curves would do no harm - right clicking is inactive so there is no issue with functionality clashing, and the actual action is still doable so it's not like it's incompatible with the new system - the program's just lost that one bit of convenience. We will make a change so when defining a new quadratic based contour the right mouse button will add an off curve point. 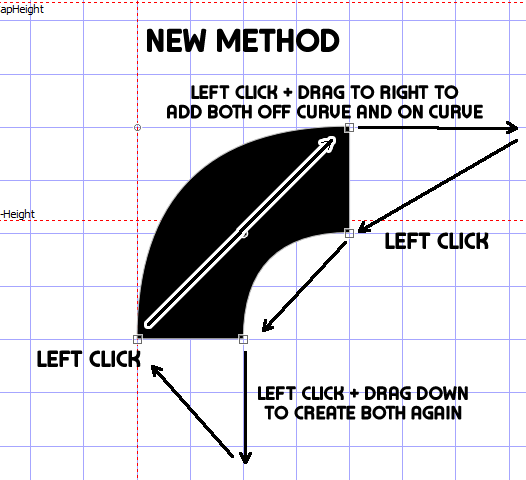 You will still be able to drag with the left mouse button to make a curve, but you will have this alternative. Inserting off-curve points with right-click is now available for quadratic TrueType curves using build 2388. Check for Updates from the Help menu to install the latest build.